The April Design Team Reveal is up on the Just Imagine Crafts/Kreaxions Blog today. The Design Team has some amazing cards posted for “spring”. Be sure to check out the blog and be inspired by these amazing cards. Spring Has Sprung - I created this card using the Kreaxions 4 in 1 punch #310 along with the Circle Cutter, the B stencil and the 8CM (small) Positioning Parts. The die cuts where cut with the Cricut using the Straight from the Nest cartridge. Happy Spring! Canvas project … a new favorite craft to keep me busy. The best part is I can use all my scrappy supplies. I am crucified with Christ: nevertheless I live; yet not I, but Christ lives in me: and the life which I now live in the flesh I live by the faith of the Son of God, who loved me, and gave himself for me. Lots of distressing going on here. Do you Pinterest? I’ll admit it’s one of my guilty pleasures … when I can find the time. I was looking for ideas for shaped cards and came across “piano cards” … amazing! So many cute ideas. This is my take on a piano card. I used the Kreaxions 4 in 1 punch #904 to make the border strip. With all the Kreaxions punches … oh my the possibilities! for more inspiration from the Design Team. I have the Tuesday Tools, Tips & Techniques Challenge at Turtle Soup today, be sure to check it out. I want my photo(s) to be my first focal point on any of my layouts. Running a close second is the title. Let’s face it … there are so many different forms of alpha’s and fonts out there to choose from it can be mind boggling. I say have fun with your titles, jazz them up a little and add your own creative touch to them. For this layout of Gracelynn I wanted the title that her mother picked to make a statement. I mixed the fonts from several different Cricut cartridges and cut them from a variety of paper scraps. 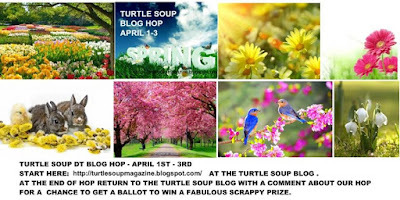 I’m sharing the Saturday All Sorts at Turtle Soup today. I’m always trying to get more use out of the products I already have in my stash. Whether you’re a scrapbooker or a card maker, I bet you have a few packages of letter stickers in your arsenal of supplies. And, if you’re like me, you probably have a few packages that have been mostly used up except for a few odd letters that you can’t use to spell anything. Or you might have a few packages from years ago that have somehow managed to avoid the purge. My challenge … get creative and use up some of those letter stickers. I created this card using up some letter stickers that are at least 5 years old (maybe older?). 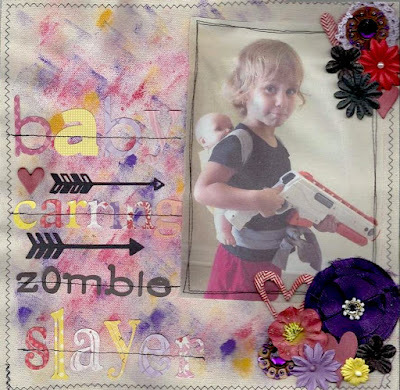 Just Imagine Crafts/Kreaxions Punches Blog today and a Blog Hop at Turtle Soup. 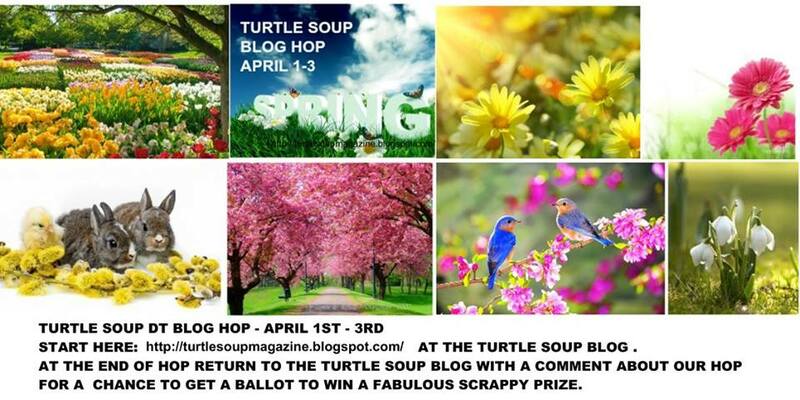 To go along with the “SPRING” theme for the Turtle Soup Blog Hop I created this fun card. I found a butterfly rubon in my stash from Jenny Bowlin (hard telling how long I’ve had it … a long time). I used the Kreaxions Butterfly die along with the Kreaxions 4 in 1 punch #916 with the “A” insert. Using the punch on the butterfly’s wings added some interesting detail. Think “SPRING” and be your own kind of beautiful!